(2) Reception staff etc. at the Grand chariot accommodation "Grand Chariot-Hokuto Seven Star-"
3 Cooking and cooking assistance staff in the food and drink department "Morino Terrace"
Pasona Group's job is to harness the potential of the individual. That is, to "Life Produce" and to support the creation of a comfortable lifestyle for people everywhere. To carry this out, our mission is to continue embracing challenges with high aspirations and dedication toward creating a new social infrastructure. Promoting diversity and continually create opportunities for individuals to achieve their dreams. ・ Communicate with local governments and local companies to promote regional activities nationwide under the theme of Japanese culture, food, health, etc. 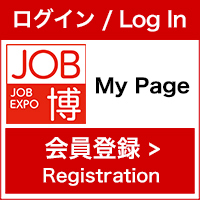 ・ Counseling, career education, employment support for job seekers with various job positions. [III] Tokyo, Osaka, Nagoya, Sapporo, Sendai, Yokohama, Kobe, Hiroshima, Fukuoka, etc. Pasona Group has a variety of fields that can meet your expectations regardless of age, gender or nationality!